The Canvas: Volume 02 – October 2018 – KLSD Arts Alive! Learn the secret to your and your children’s future success If the future workforce will be filled with automation and robotics, how can we, and our children, succeed? What are the skills that we will need to obtain a job, maintain job security and advance? Katonah resident and award-winning educator Kathryn Haydon has the answer. (We’ll give you a hint: it’s in the arts, and even in your home.) 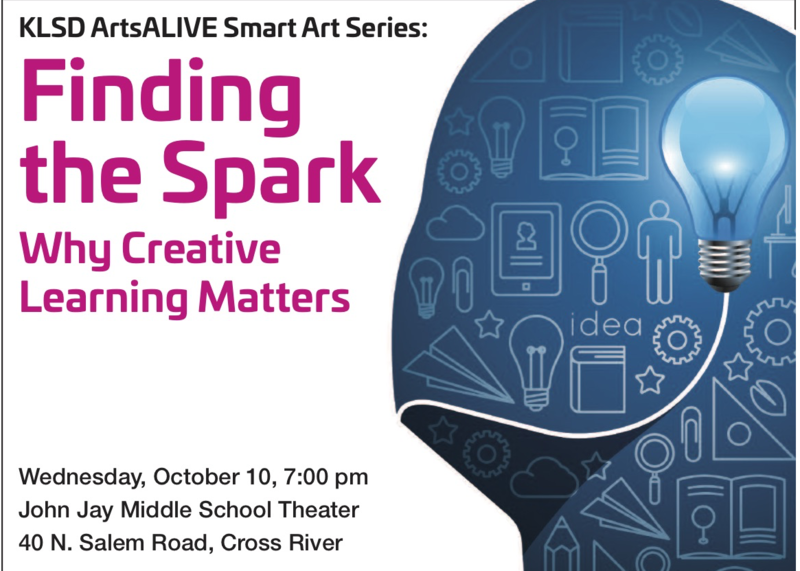 In our inaugural Smart Art series lecture, Haydon will provide insight into what’s lacking in today’s workforce as well as the skills you’ll need to succeed going forward. The founder of Sparkitivity, Haydon brings creativity back into the workplace, guiding employees on how to integrate creative thinking and process into their workday. Haydon’s talk will be followed by an audience Q & A, along with the opportunity to purchase a signed copy of one of Kathryn’s books. All proceeds will benefit KLSD ArtsALIVE. The event will also feature a raffle and giveaways from Caramoor and the Katonah Museum of Art. 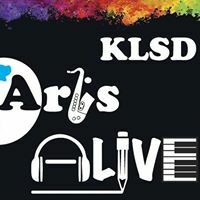 This year KLSD ArtsALIVE is expanding its mission. After a 20-year focus at John Jay High School, KLSD ArtsALIVE will also create and support programming for John Jay Middle School. The first two initiatives are already underway and include developing a new student art alcove in the halls of JJMS and forming a Rising Stars Children’s Choir. businessman_opening_door.jpg The children’s choir will be composed of students in grades three through eight. 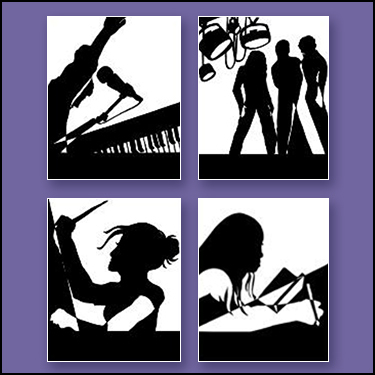 The choir’s inaugural performance will be during the annual Encore Cabaret on January 4, 2019. Registration will begin October 15th for members and October 17th for non-members. Both initiatives were presented at the JJMS back to school night. The enthusiastic response from both parents and faculty made it clear that KLSD ArtsALIVE will be a welcome addition to the JJMS campus. On Saturday, September 29, KLSD ArtsALIVE and the John Jay Booster Club co-sponsored the first “Music on the Lawn” as part of John Jay’s Homecoming festivities. The beautiful day perfectly complemented a wide variety of local musical talent, entertaining an audience that ranged from preschoolers and high schoolers to parents and fans. 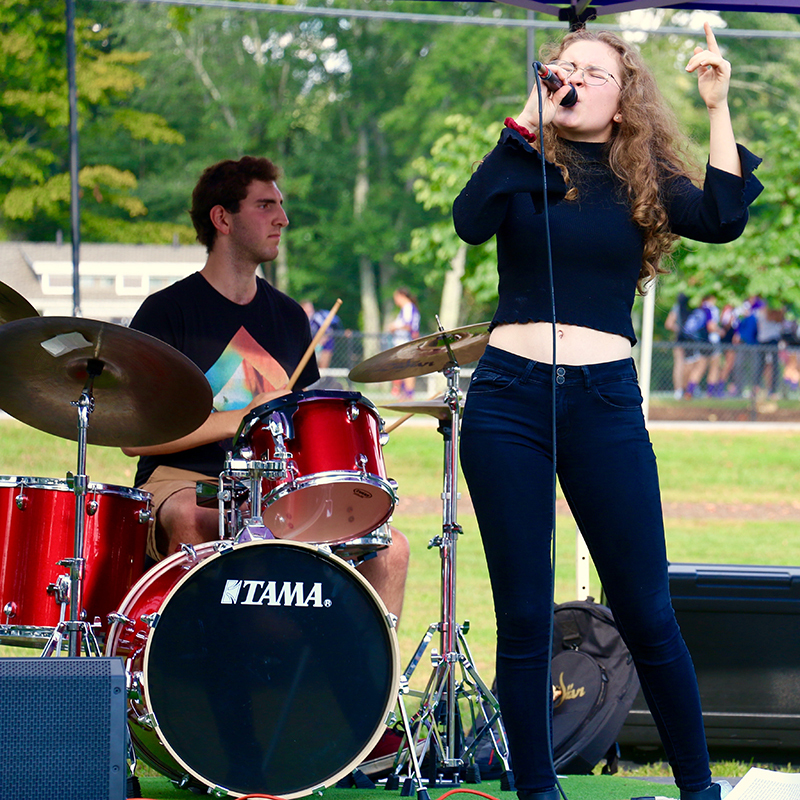 The afternoon included the original sounds of singer/songwriter Ariella Mendes, classic rock from the Secret Formula Experience, Tara Curran’s soulful vocals, and upbeat, catchy tunes from the Marvelous Rolling Tones acapella group. The event was a great way to celebrate our talented students and pump up school spirit before the big game. 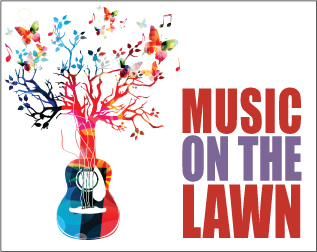 Music on the Lawn also included face painting, a bake sale and an ice cream cart. All proceeds benefited KLSD ArtsALIVE. 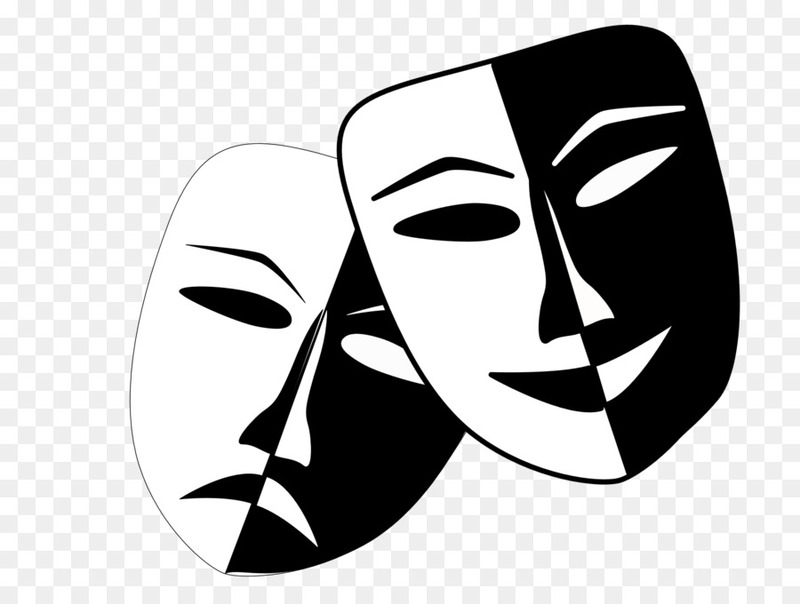 Two weeks ago, we had over thirty students audition for the fall drama and our production team was overwhelmed by the talent at JJHS. Although it was a difficult process, the team chose a cast of 12 exceedingly skillful actors to perform the light-hearted comedy Harvey. Since then, it has been a whirlwind! Our production team met the Saturday after auditions to discuss the set, costume, and prop designs. Our team has been working each day to prepare for rehearsals, submit purchase orders, research props and costumes, and plan out our calendar. Last weekend was our first build weekend, in which crew members worked tirelessly both Saturday and Sunday to clean the theater and begin to craft our set. Additionally, rehearsals started and already, the cast and crew is appreciating the amusing, cheery tone of the play. After all, how could you not be happy as you experience Mr. Elwood P. Dowd genuinely enjoying life with his best friend – who just happens to be an invisible six foot rabbit? We are hopeful that viewers will be just as delighted to explore the line between reality and imagination as we are. I am very grateful to be working with such talented students both on and off stage. We are hoping to involve more students in the production in order to create a stronger theatre community. 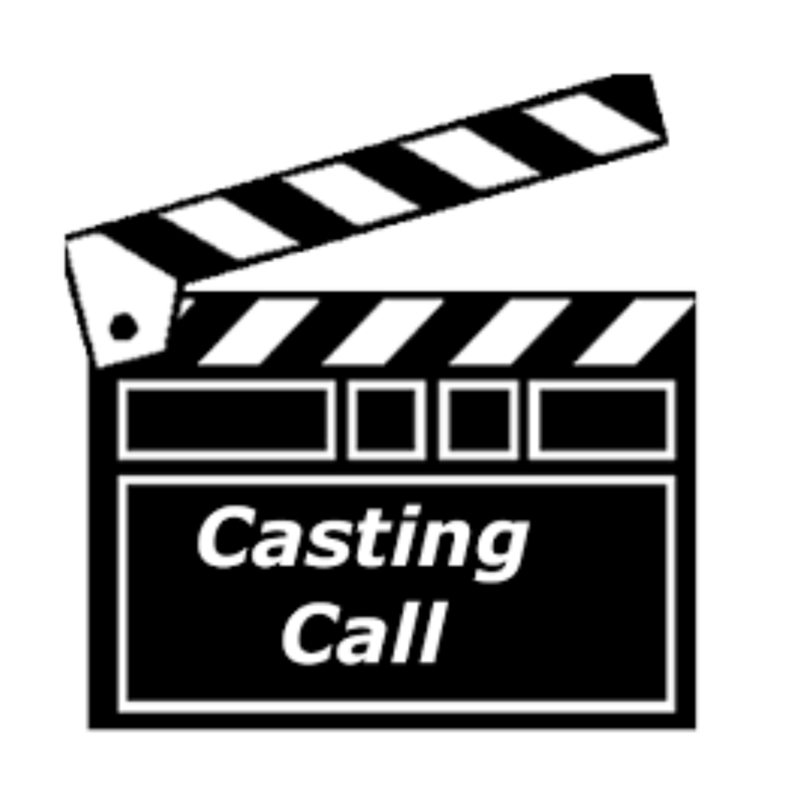 There are many opportunities to participate in the production through stage crew, costumes crew, publicity crew, or house design crew. Part of the magic of theatre comes from the collaboration of many creative brains, so we hope others will join our ensemble! Performances will take place on November 8th, 9th, and 10th at 7pm and November 10th at 1pm. Tickets are $10 for adults and $5 for students and senior citizens. Stay tuned for more details! Congratulations to JJHS Senior Sona Minasian for receiving the honor of Teen of the Month by TAPinto.net. An accomplished musician, Minasian participates in four school ensembles: symphonic (principal violinist), string (cello), vocal jazz (student assistant director) and chorale (singer/teaching assistant). In addition, Minasian also plays the piano for every school musical, dedicating approximately 20 hours per week to attending rehearsals. And, she serves as the teaching assistant to JJHS music teacher Steven Morse, in which she supports him in various tasks like conducting warm-ups. Aside from music, Minasian is also vice-captain of the John Jay dance team and performs at the school’s football games, homecoming and pep rallies. Outside of school, she dedicates her free time as a volunteer for both Caramoor and the Katonah Art Center (KAC). At Caramoor, Minasian works behind the scenes as an audience services representative, assisting in the box office and front of house. At KAC, Minasian aids the curriculum preparation for the center’s pre-school programs by providing recommendations of different composers and music for the classes. Next year, Minasian hopes to attend either Ithaca College School of Music or SUNY Potsdam, Crane School of Music and major in music education.